SEE HIM LIVE ON THE LOS ANGELES PANEL! 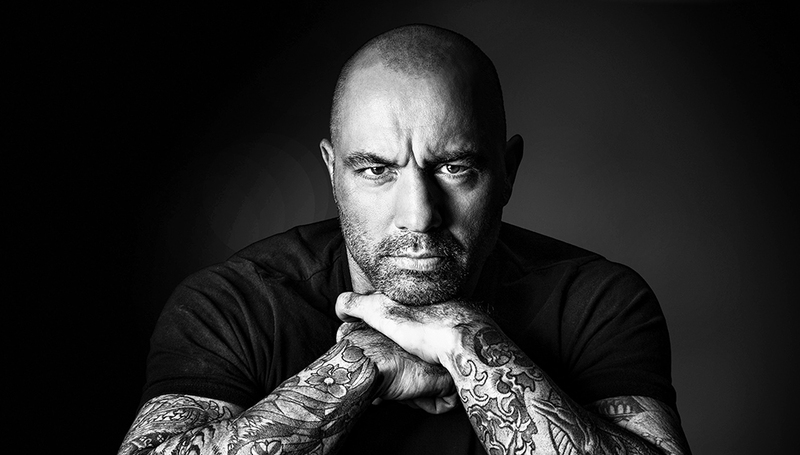 A standup comedian for more than 20 years, Joe Rogan sells out theaters internationally with his inquisitive and intense comedic style. Rogan’s fourth hour-long special, Joe Rogan: Rocky Mountain High, premiered on Comedy Central on November 21 and is available as a digital video or audio download. His third hour-long special, Joe Rogan Live From The Tabernacle, made its television debut on February 28, 2014 on Comedy Central and is available as a download through Joe’s website. Rogan starred in the hour specials Talking Monkeys in Space (2009) now available on CD & DVD, and Joe Rogan Live (2007) now available on DVD and Netflix, and released the CD’s Shiny Happy Jihad (2007) and I’m Gonna Be Dead Someday (2000). Rogan is host of The Joe Rogan Experience, featuring long form conversation with guests that is one of the most popular podcasts on iTunes. Fans can watch the show live on Ustream and the podcast can also be heard on Sirius XM’s “The Virus” channel on Saturdays at Noon ET and Sundays at 5:00 AM and 6:00 PM ET. Joe’s Syfy TV series, Joe Rogan Questions Everything, premiered on July 24, 2013 with 1.3 million viewers as the highest rated Syfy reality series in five months. A life-long unexplained paranormal mystery-addict, the show featured Joe venturing into unknown worlds and untapped territories to search for answers to life’s most startling theories. Rogan was seen in the film Here Comes The Boom (2012) and he starred in the film Zookeeper (2011). Rogan hosted the high stakes game show Fear Factor, on NBC in 2011/12 and previously for six seasons from 2001-2006. Prior to Fear Factor, Rogan played Joe Garrelli, the resident electrician on the hit NBC comedy series NewsRadio.